Home > Ask Our Experts > Should I Cash My Personal Equity Plan? I have a PEP (personal equity plan) that qualifies for cashing in on the 1st of dec. Do I leave it there until the market picks up or cash it in? It is gradually getting smaller each time I get a new quote. Personal Equity Plans, otherwise known as PEPs, were introduced as tax-efficient investment vehicles during the 1980s and 1990s, and many people saved money via them and still have cash squirreled in them. However, when the Labour government was appointed in 1999, PEPs were withdrawn and replaced by Individual Savings Accounts (ISAs). This basically meant that you could no longer invest fresh funds in a PEP, but anything that was already held in a PEP could remain and benefit from similar tax breaks applied to an ISA. Millions of people who invested in PEPs in their 12 year existence have been left wondering what to do with the savings they have accrued in the plan. As a result of the market turmoil we are experiencing at the moment, you may wish to leave the PEP alone until things get better. Many industry analysts expect the market to start to pick up by the end of 2009, so it is really a question of whether you want your investment to lose any more of its value or whether you should cut your losses and move it into a more 'recession-friendly' investment. You can, of course, withdraw all of the funds and invest them elsewhere. You will be charged a small amount by you plan manager to do this and then you will be free to do what you wish with the money. 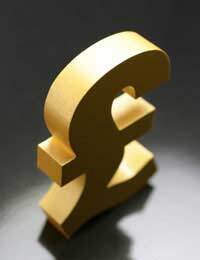 You also have the option of transferring the cash straight into an ISA – up to £3,600 for a cash ISA or £7,200 for a stocks and shares ISA (2008/09 tax year). The main advantage of doing this is that you won’t be tempted to spend any of your savings and will continue to benefit from the tax-free status. ISAs are much like PEPs in that the money saved in them is free from capital gains tax (CGT). Depending on your personal risk level, you have the option of investing in a cash ISA (up to £3600 per tax year) or a stocks and shares ISA (up to £7,200 per tax year). Within a stocks and shares ISA you have access to individual equities or collective investment products, including unit trusts, investment trusts and open-ended investment companies. In a cash ISA, you can hold deposit accounts from banks and building societies, national savings products and other cash-based products like money market funds.